Zen Studios has come out with a new patch for Infinite Minigolf on Switch. The latest version is 1.0.2. Infinite Minigolf received the new Hangar 37 DLC earlier today as a free download. We’ve posted some footage below. New free DLC is out now for Infinite Minigolf. 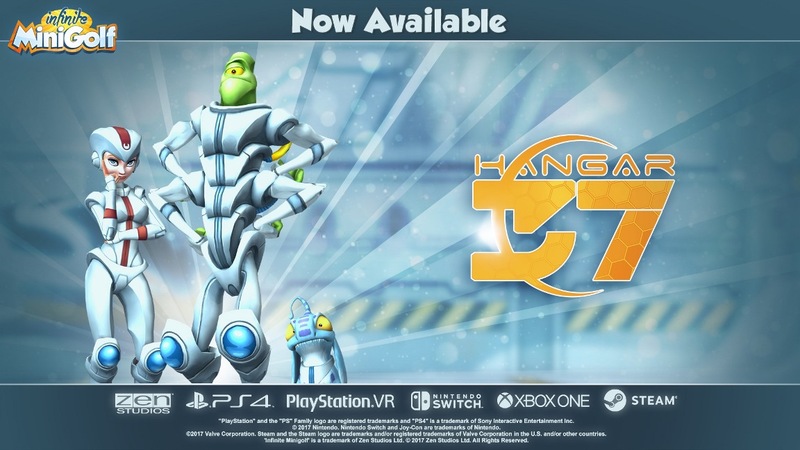 Zen Studios has added the Hangar 37 theme at no extra cost to players. Watch a trailer for the Hangar 37 DLC in Infinite Minigolf below. Infinite Minigolf received free Tortuga DLC yesterday. The theme added 172 new holes, course creator tools, and a new set of tournaments. Get a look at some footage below. 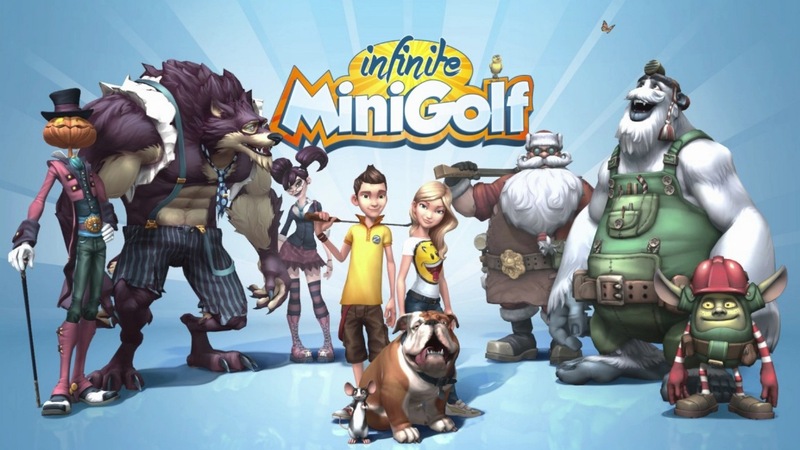 After players created over 14,000 courses, Infinite Minigolf is receiving some free DLC. 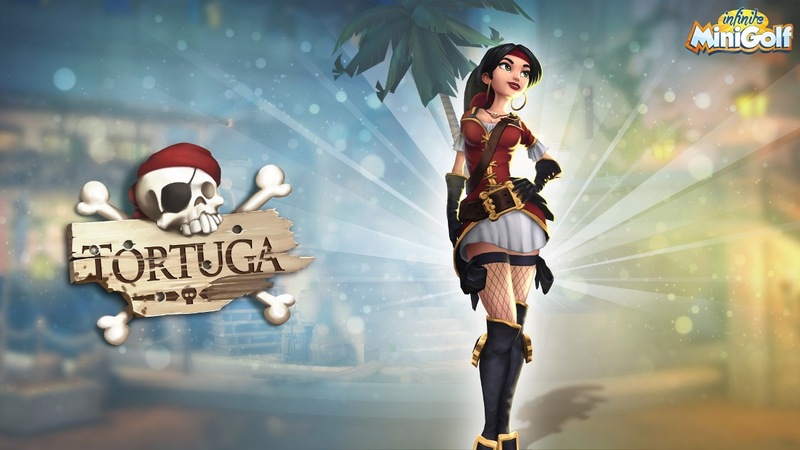 Players on Switch can access the pirate themed “Tortuga” expansion at no extra cost. It’s available as a free update. Zen Studios is also teasing a second free theme due out “in the coming weeks”. More information will be shared soon. Zen Studios tweeted today that Infinite Minigolf is once again available after being pulled from the North American eShop. As previously reported, the title was removed due to concerns over the original ESRB rating, as some placeholder artwork had been left in the game that would bump the rating up from Everyone to Teen. The artwork has been removed via a patch. Infinite Minigolf disappeared from the North American Switch eShop awhile back. Kotaku investigated the situation and also heard from developer Zen Studios, so the entire situation has become clear. The issue with Infinite Minigolf concerns the original ESRB rating. It was rated E for Everyone, but some placeholder artwork was accidentally left in that should bump it up to T for Teen. Zen Studios is having that removed so that the rating will go back down to what it should be. After recently launching on Switch, Infinite Minigolf has gone missing on the North American eShop. It’s still up in both Europe and Japan, however. It’s currently unclear why Infinite Minigolf was taken down stateside. Infinite Minigolf was originally on track for July 25. It ended up releasing a few days later instead – specifically July 28. Thanks to Jared C for the tip. Footage has come in showing Zen Studios’ first Switch game Infinite Minigolf. Take a look at the gameplay in the video below.